You searched for which does not fit your . We've redirected you to 163-840, which has the proper fitment. 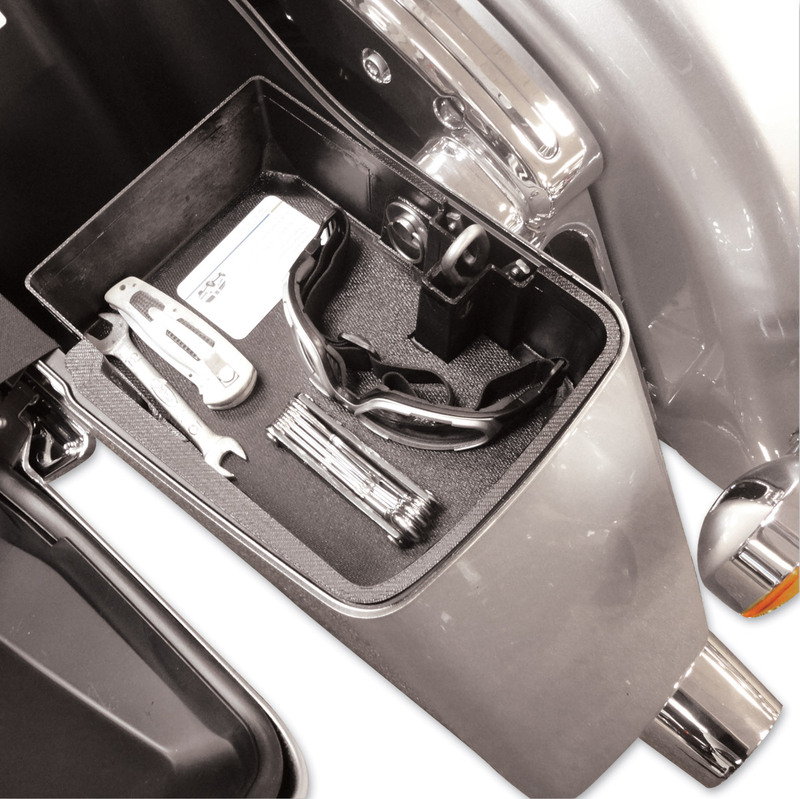 • If you have ever dug through your Hard Bag only to find your mangled/crushed Sunglasses, Cell Phone, keys or blown up wallet from the bottom of the bag - then the Top Shelf Saddlebag Organizer is for you! Great for keeping gloves and eye wear at your finger tips and not at the bottom of the bag. Neat little idea. Great little organizer. Perfect fit, simple install, and best of all it makes finding small items easy. It keeps my sunglasses, wallet, keys, and registration / insurance card in worry-free reach if needed. To be honest my license and registration have been requested on more than one occasion.